Having an elephant as a pet is a very difficult thing to do, the reason for this is that most countries require a special permit and special enclosures and certificates for the keeping of exotic species. In addition, most species of elephants are currently endangered due to the treacherous ivory trade as well as habitation destruction. 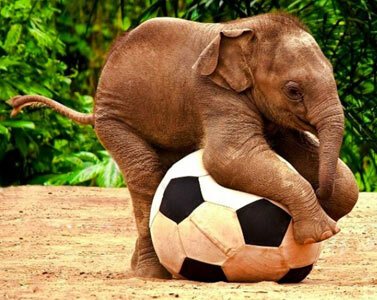 In the UK it is utterly illegal to keep elephants as pets in any capacity. In the United States this is also true unless you own special grounds, such as an animal shelter or conservation center, have a zoo or own a circus. Conversely, in Asia and Africa elephants are often kept and used for labor or as pets since the keeping of animals is far less regulated in places like India and Africa. There are currently only two basic, recognized species of elephants, the African Elephant and the Asian Elephant. All species are herbivores and like to be near water often. Elephants are most commonly found in wide open plains, marsh land, forests and some deserts. Elephants are highly intelligent creatures and do make very good companions, interacting with humans and being able to be trained fairly easily, if one, of course, knows what one is doing. However, before you consider purchasing an elephant you should ensure that you have the necessary grounds for them, they can not live properly in cramped cages or in shuttered barns. In addition to this, elephants are also very expensive, their diet is huge, their care and veterinary bills will be enormous and they can cause a great deal of damage under certain circumstances. Below will be a break down of the pros, cons and specifics of owning a elephant as a pet in no particular order. Pros of Keeping an Elephant as a Pet: Elephants are intelligent and empathetic creatures that show signs of self awareness and can grieve for the loss of other animals which shows the emotional depth of the creatures. Elephants also respond very well to positive reinforcement, they also respond well to physical punishment but obviously this practice should be avoided for reasons of personal and animal safety as well as ethics. 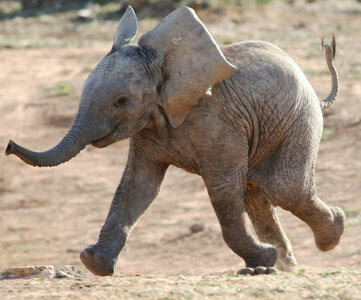 Elephants, in general, have very long lifespans and tend to often outlive their human counterparts. Cons of Keeping a Elephant as a Pet: Price is one of the main problems with elephants with monthly rates for their upkeep often well in excess of $7000. Some of the reasons for this is that elephants are very large and thus require a great deal of food per day. Elephants are also very rare so actually just obtaining one, even if you have the money for it, is no easy task. Male bull elephants when mating become very hostile and dangerous and can rampage. Female mother elephants with their offspring can be very protective and just as dangerous as a male if they think their calf is in danger. Elephants grow to about 13 feet tall, weighing about 15,000 pounds, because of this they can cause very extensive physical and property damage, in the wild they can easily and often push over full grown trees to get at the root, that being said they can smash through most traditional fences with ease. All elephants are herbivores so one needn't worry about much else in their diet. Elephants spend about sixteen hours a day doing nothing but eating and have very large appetites. The type of diet a particular elephant has and maintains in the wild will vary markedly with their surroundings. In the wild elephants eat bark, leaves, fruits and vegetables. Often when in captivity elephants will do well on a diet of branches, hay, leaves, grass, fruits and vegetables, often with nutritional supplements added. The temperature should ideally be controlled and similar to the elephant or elephants initial climate. The enclosure should also be strong enough to ensure that the animal can not break out, so something that is resistant to about 15,000 pounds of force. In addition to being spacious so that earth is not hard packed from the elephants repeated traversing, for if it does this can lead to foot issues with the animal later down the line. There should also be a sizable area of water and an area for mud bathing, as well as a grassy pasture for grazing and leafy trees. Hard floors, such as concrete or similar substances should be avoided as this may lead to health problems for the animal given how long they stand on their feet. This is one reason why elephants in captivity often develop health problems never observed in their wild counterparts. Elephants have a limited ability to adapt to temperature changes, the more drastic and quick the change the less likely they will adapt, as with most other animals. However, elephants are very susceptible to cold weather and should always be closely monitored when the weather drops below about 40 degrees, since, upon becoming chilled, will lack the energy to warm themselves up again. This is especially true of their legs which can suffer severe and irreparable damage if left in the cold for extended periods of time. Veterinary outfits for elephants are often non-profit and a very useful resource for those whom are interested in learning more about elephant care. Before taking your elephant to a veterinary clinic you should make sure that the animal, if male, is not in one of it's hostile cycles, called musth. If you have observed your elephant behaving erratically or in a hostile way, wait until it calms down before attempting to call a vet in or transport it. Vets will do many basic health checks, often starting with the feet of the elephant, which should be inspected regularly for irregularities and health problems, as well as for a trim and shaving. Debris can also be caught in the elephants foot. One without proper training should always call a veterinarian in for this kind of specific foot care as you may injure the animal if done improperly.